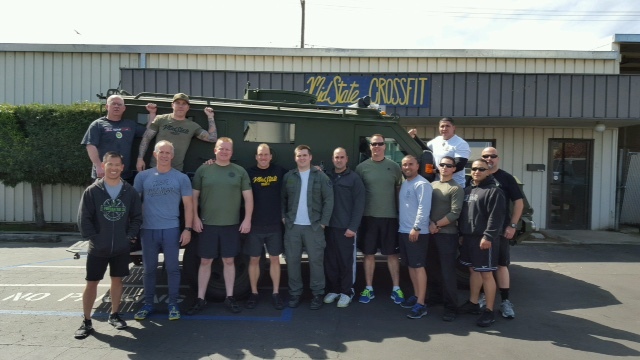 On March 24, 2016, CrossFit LEO Liaison Greg Amundson paid a special visit to Merced County SWAT Team to mentor their Team Leaders on the benefits of CrossFit for Law Enforcement, and especially a SWAT Team. The team learned the fundamentals of the Squat, Deadlift and Kettlebell Swing. Following instruction, the Team completed the famous CrossFit workout “Helen” as a team, with each team completing 6 total rounds, alternating one round at a time. The Merced County SWAT Team is a regional team with enforcement responsibility throughout the entire county of Merced. Special thanks to Mid State CrossFit for their support of Law Enforcement in Merced County, and allowing Merced SWAT to utilize their gym on SWAT Training days. This entry was posted in Blog on March 26, 2016 by gregamundson. Great work to the team leaders from Seattle SWAT Team on their in-service CrossFit training day and completion of a grueling test of endurance and willpower. Seattle SWAT is home to some of the highest trained and most physically fit Officers in the nation. Keep up the great work! Special thanks to Paige Wager of Ballard CrossFit for opening her gym and providing CrossFit classes to the SWAT Team. 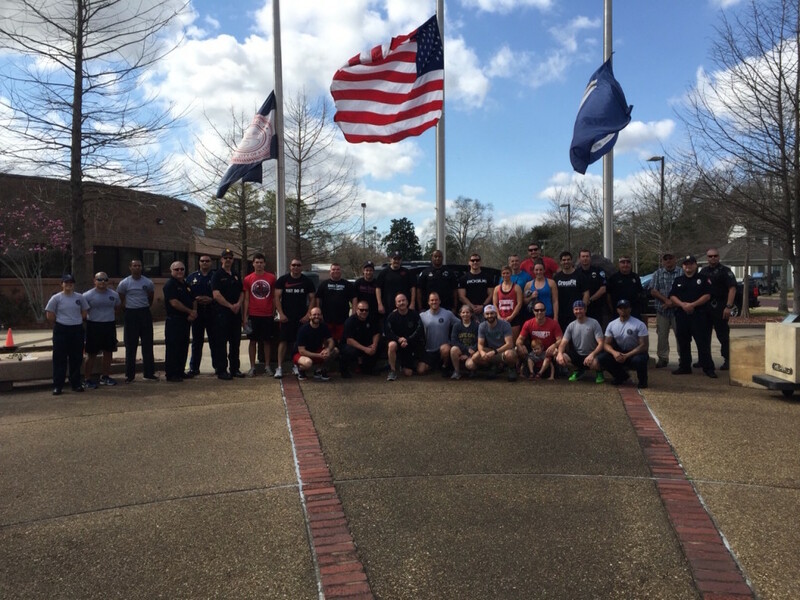 On February 19th and 20th, CrossFit Law Enforcement Liaison Greg Amundson joined Chief Lampert and the Officers of Alexandria Police Department to honor two of their fallen SWAT Officers with a grueling CrossFit workout. 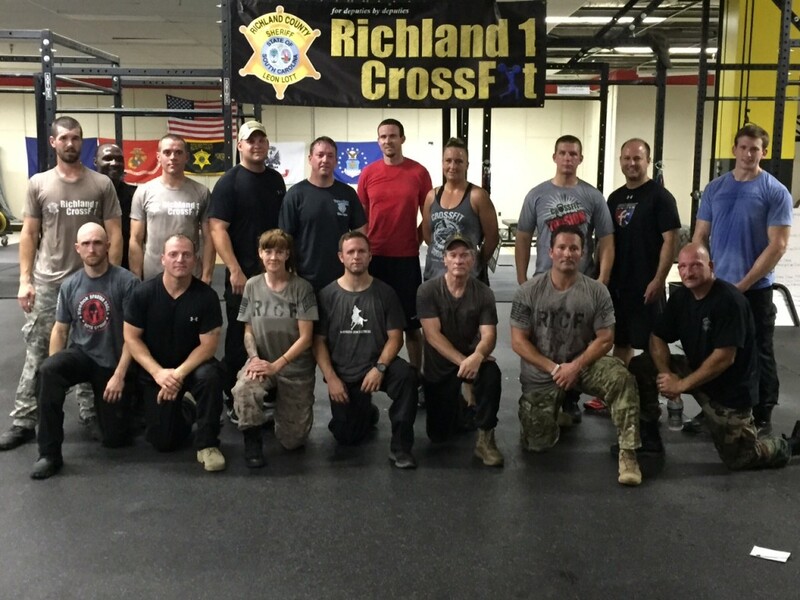 Alexandria Police Department is also a CrossFit Law Enforcement gym, and their Officers performance in the workout was testimony to the effectiveness of the program. The Alexandria Fire Department is also a CrossFit Affiliate Gym, and there was certainly some friendly competition between the LEO and Fire members! The local News Channel 5 covered the entire event, and several members of the community came to cheer on the Officers. This entry was posted in Blog on February 27, 2016 by gregamundson. This entry was posted in Blog on November 22, 2015 by gregamundson. 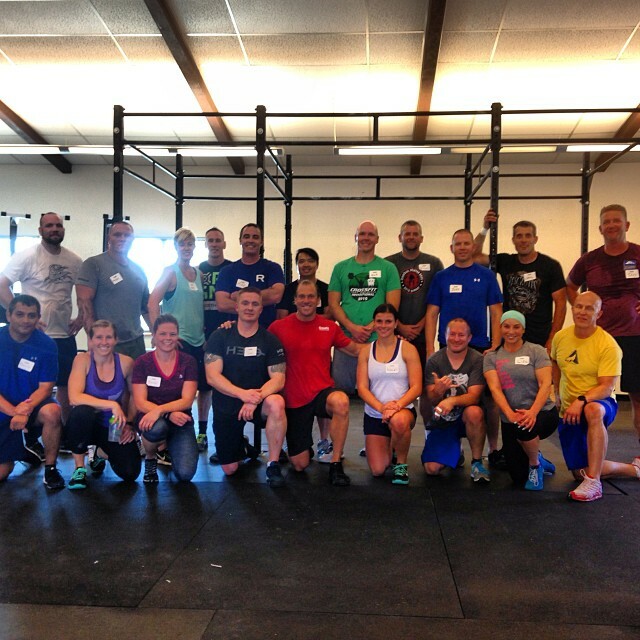 Congratulations to the graduates of the 18SEPT2015 CrossFit Law Enforcement Seminar, hosted by Oregon City Police Department and CrossFit 1850. This seminar represented over 10 different Law Enforcement Departments, including two Officers who drove all the way from Vancouver, Canada! Special thanks to Sgt. Patrick Lynch and Chief Band for their continued support of CrossFit for Law Enforcement in the Oregon and Washington region. This entry was posted in Blog on September 20, 2015 by gregamundson. 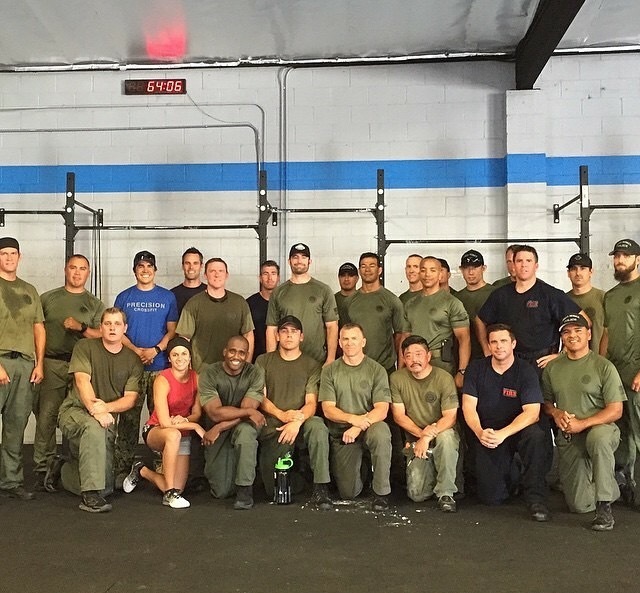 Congratulations to the graduates of the July 11, 2015, CrossFit Law Enforcement Seminar, hosted by Hayward Police Department. 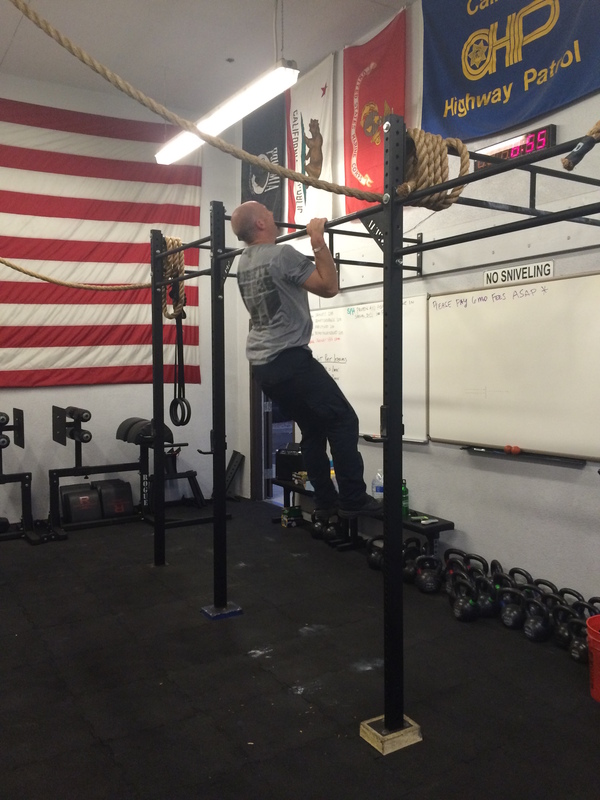 The Officers in attendance ranged from extensive CrossFit experience, including CrossFit Level I training, to Officers who had not yet experience their first CrossFit workout. The energy, enthusiasm and dedication to service of the Officers was outstanding. Over 9 different Law Enforcement Departments were represented in the Seminar, including Antioch Police Department, Tracy Police Department, Healdsburg Police Department, San Leandro Police Department, San Mateo County Sheriff’s Office, Central Marin Police Department and East Bay Regional Parks Police Department. 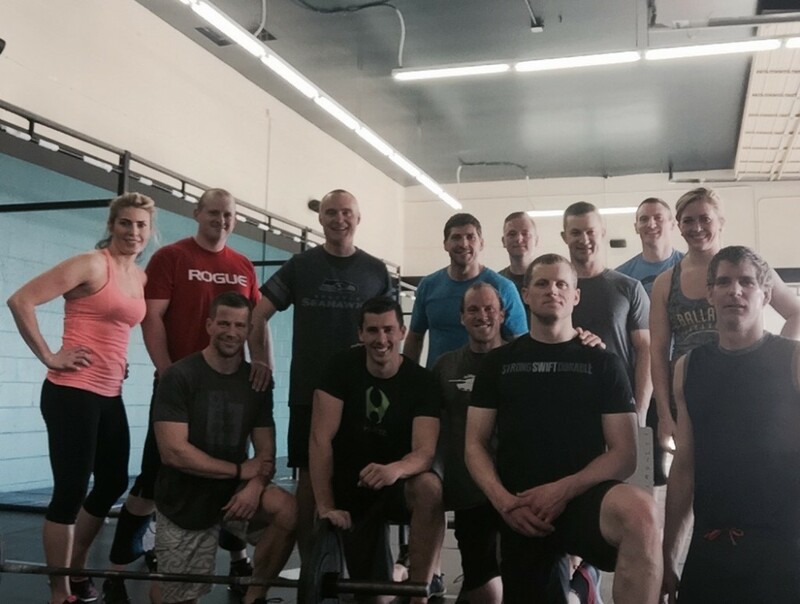 The next CrossFit Law Enforcement Seminar is scheduled for September 18, 2015, at Oregon City Police Department. To register, CLICK HERE. This entry was posted in Blog on July 12, 2015 by gregamundson. The fastest overall individual time was Santa Monica SWAT Operator, Scott McGee, with an incredible time of 31:58. This entry was posted in Blog on July 5, 2015 by gregamundson. Congratulations to Richland County Regional SWAT Team (South Carolina) on completing the CrossFit Hero WOD “Murph” as part of this years SWAT Team “Murph” Competition. All members of the Richland SWAT Team completed “Murph” in under one-hour, which was the standard originally adopted by Santa Monica SWAT Team (California). Richland SWAT Team made history when 9 of their Operators completed the 50 hour SEALFIT Kokoro Camp. Great job everyone! This entry was posted in Blog on July 2, 2015 by gregamundson. 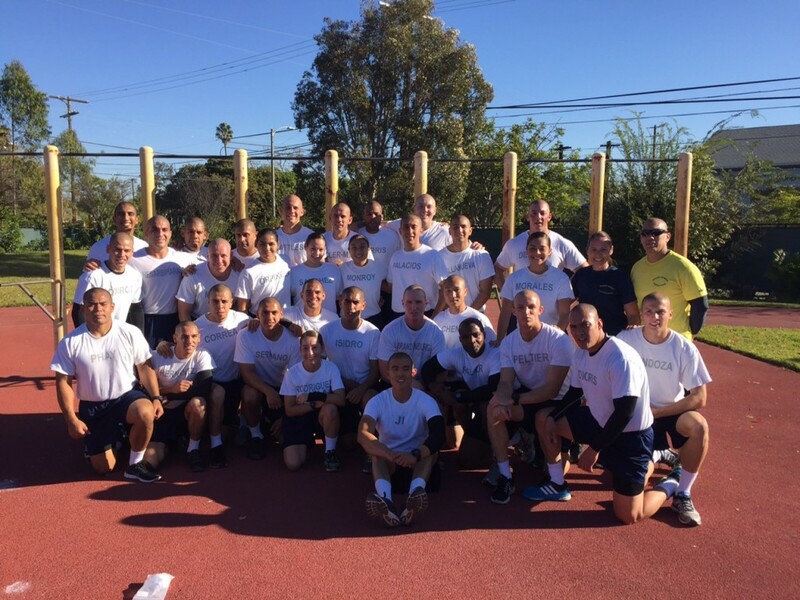 Santa Monica Police Department SWAT Team inspired the Law Enforcement Officers across the Nation when they adopted the CrossFit Hero WOD “Murph” as their official SWAT qualification test. Congratulations to the SMPD SWAT Team (pictured above) on completing “Murph” this year as part of the Nation-side SWAT Team “Murph” competition. CrossFit Games Director Dave Castro joined the Team this year, along with CrossFit Games Announcer Rory McKernan, and both did an awesome job! Stay posted for the results of the most physically fit SWAT Team once all the data is compiled from participating SWAT Teams from across the Nation. St. Lucie County SWAT Team, with CrossFit LEO Liaison Greg Amundson and San Diego Police Officer Christine Jones, following the completion of “Murph”. Congratulations to all the SWAT Teams on completing the CrossFit Hero WOD “Murph” in under 1 hour. The workout “Murph” (1 Mile Run, 100 Pull-ups, 200 Push-ups, 300 Squats, 1 Mile Run) was first recognized as a prominent SWAT fitness challenge by the Santa Monica Police Department SWAT Team. ST. Lucie SWAT was the second team in the nation to adopt the workout as their official SWAT qualification test. In order to be considered for the ST. Lucie SWAT team, operators must complete “Murph” in under 1 hour, wearing BDU pants and boots. 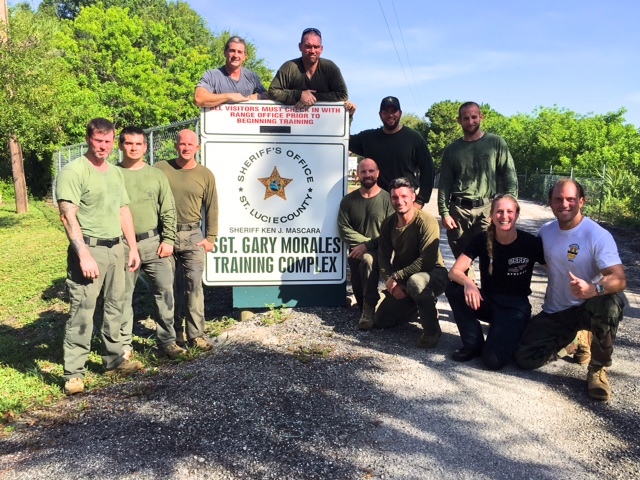 As part of the 2015 Nation-wide SWAT “Murph” Competition, CrossFit LEO Liaison Greg Amundson joined St. Lucie SWAT for their yearly qualification. 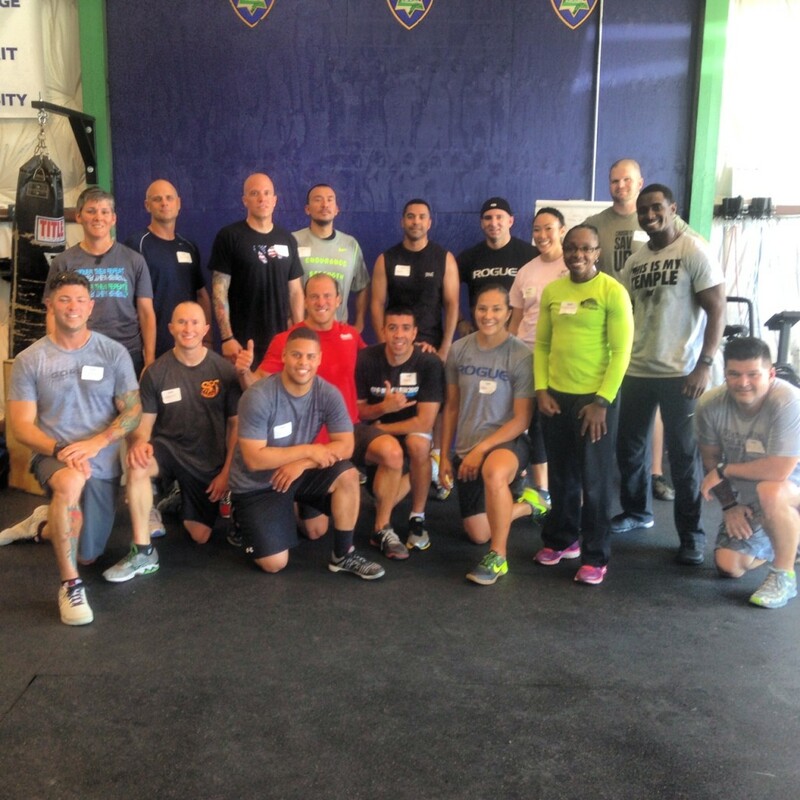 Meanwhile, in California, CrossFit Games Director, Dave Castro, joined Santa Monica SWAT for their qualification. Teams across the Nation, including California Highway Patrol, Los Angeles SEB, and Richmond County SWAT Team, completed the challenge.